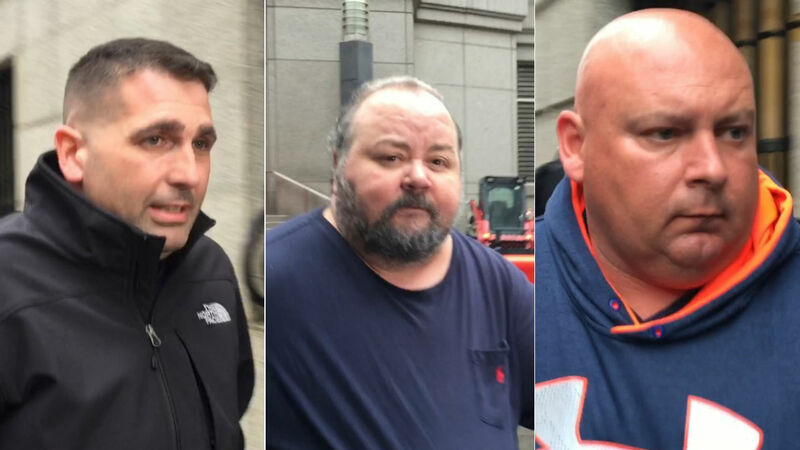 NEW YORK (WABC) -- Three retired NYPD officers were among five people arrested as part of the ongoing probe into members of the department expediting gun permits for cash. Two of them, former Lieutenant Paul Dean and Officer Robert Espinel, left the NYPD early in 2016 when investigators began asking questions about their connections to Alex "Shaya" Lichtenstein, a Borough Park Shomrim patrol leader initially charged with paying off police officers for expedited licenses. Lichtenstein pleaded guilty and last month received 32 months in federal prison and two years supervised release. Also arrested was former Detective Gaetano Valastro, who has run the Valastro International Tactical Academy in Queens since 2003. The store sells firearms and firearms-related gear and equipment, as well as firearms training courses. Valastro retired from the department in 1999. The arrests stem from the probe into NYPD Sergeant David Villanueva, who was previously charged with accepting gifts in exchange for helping speed up weapons permits. He has pleaded guilty and is cooperating with prosecutors. A fourth suspect, Frank Soohoo, the owner of a police supply store in Flushing, Queens, also was arrested. He is alleged to have taken Villanueva and Officer Richard Ochetal, both assigned to the NYPD's gun licensing division and previously charged, on vacations to the Bahamas. Soohoo is expected to plead guilty. John Chambers, also arrested, appears to be accused of working with Villanueva to get accelerated gun permits, authorities said. Chambers is a former prosecutor in the Brooklyn District Attorney's Office and runs a law firm, whose web page promises to navigate the "complex maze" of handgun licensing in New York.